The all-new next-generation 2015 Subaru WRX that will make its global debut at the 2013 Los Angeles Auto show next week won't be just for boy racers. It will be different than anything we've seen before. It won't be just different in exterior appearance, but it will come with new refinements that will broaden the appeal to include new performance buyers who have never considered purchasing a Subaru vehicle before. Will the next-gen WRX be able to pull this off? Subaru WRX/STI fans don't need to be worried, it will still feature the performance goodies that they would expect from the performance oriented WRX/STI. In fact, it will be coming with more power than the outgoing 2014 model. Look for a new turbocharged intercooled engine with more power, a lighter more agile model with carbon fiber body panels, and improved handling in the corners from a new updated tuned chassis. So the next-gen WRX will definitely be an exciting ride. Australia Subaru boss Nick Senior had a chance to drive the new 2015 WRX recently and was thoroughly impressed. He said, "I've had the opportunity to drive it and I think it will not disappoint any of our existing customers." The new 2015 performance model will be lighter and more agile than the previous generation models. Subaru will likely make use of carbon fiber in the new roof to reduce overall vehicle weight. But the cabin will see the most significant upgrades to appeal to a wider audience. There will be significant changes made to the cabin. The 2015 WRX will move the brand forward in styling and bring new designs, equipment and technology in the cabin not seen before. Subaru will keep the performance attitude of the WRX/STI, but they are moving forward to attract a new type of buyer to the performance model. It will take upgrading the interior appointments and technology to appeal to new buyers. But it will come with a higher price tag. Senior also told Motoring.au, "We launched the WRX at $39,990, 20 years ago. It's still $39,990 today – it's an incredible value for the money. But there's no doubt there's going to be substantially more kick, equipment and technology, in the new car." So we can look for an increase in price to go along with all the extras added to the new-generation model. Subaru has a very loyal performance customer base, and they will not alienate or disappoint this group. But the Japanese automaker has a goal to grow beyond the current loyal customers and attract a new generation of buyers who have not purchased a WRX/STI before. 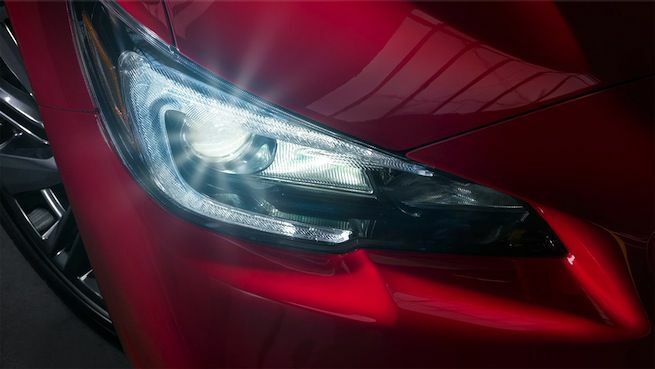 We are already seeing it with the new 2014 Forester, XV Crosstrek Hybrid and BRZ models. Subaru has reported that almost 60 percent of the sales this year have been to customers new to the brand. And the WRX will follow the lead of the other Subaru models as the Japanese automaker extends their performance reach. The real DNA of the WRX/STI has always been its driving dynamics and power attitude. Subaru execs know the driving experience of the new WRX is still paramount. But the all-new 2015 Subaru WRX has been given the huge task of bringing new blood to the brand. Can Subaru do this without alienating existing customers? We will see next week if Subaru was able to hit the mark.